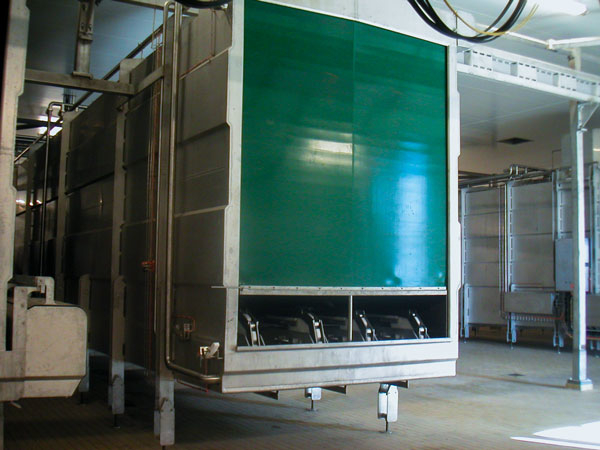 Our milk receiving systems are designed for facilities processing up to 100,000 liters of milk per day. 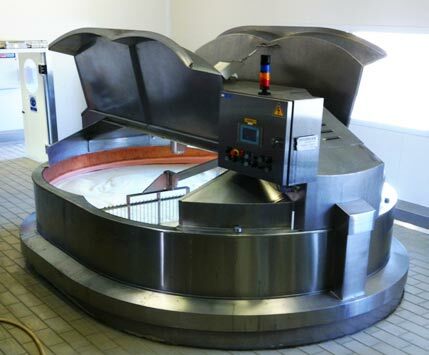 When the milk is received, it is weighed manually or automatically. Then we proceed to milk and serum filtration, skimming and heat treatment. Maturation, curdling, curd cutting, stirring, our cheese vats, from 500 to 24 000 liters, round or oblong, open or closed with copper or stainless interior are adapted to your cheese technologies. 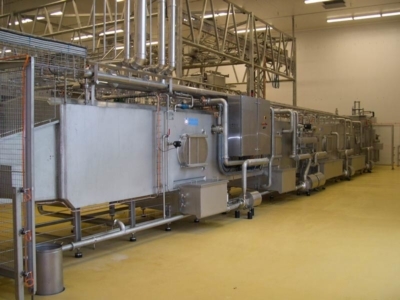 Our Tubular molding machines allow the continuous production of hard cheese thanks to the combination of pre-pressing, cutting and curd molding operations. 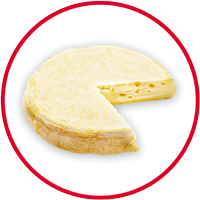 Our pre-pressing vats allow to obtain a curd cake of regular size and to minimize material losses. The vacuum molding system evenly distributes the contents of a vat in each mold. 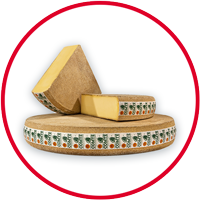 This is the reference system for molding cooked cheese. 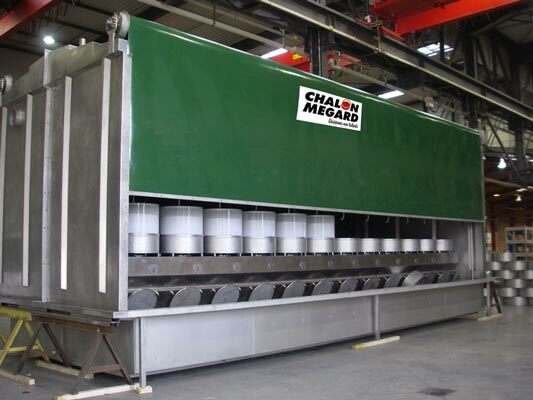 CHALON MEGARD offers you a complete range of pressing systems allowing you to carry out your pressing operations in accordance with your technological parameters, your production requirements and your infrastructures. Pressing pallets are used to stack several molds with individual pressing for each mold. These pallets can rest on the ground, be hung on an overhead conveyor or a circular carousel. Our molding and pressing modules are suitable for cooperatives and can be washed in a CIP system with the molds inside. 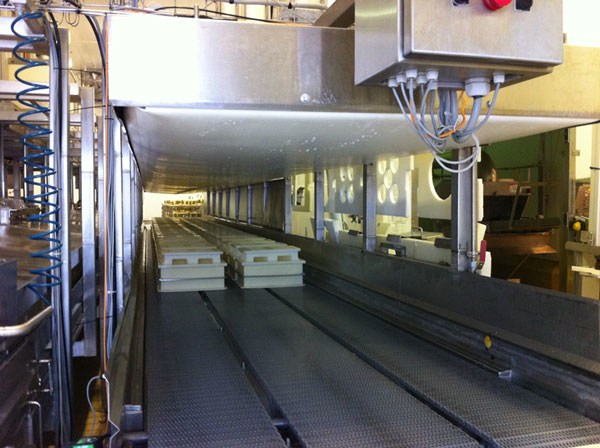 Finally, our open or closed multi-purpose tunnel presses allow automatic cleaning, with one or more rows of molds (or block form) and can be superimposed to save floor space. 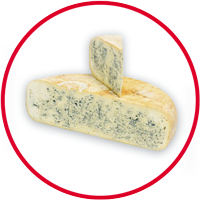 Our acidification equipment is used to confine the cheeses after pressing for the acidification of the cheeses. 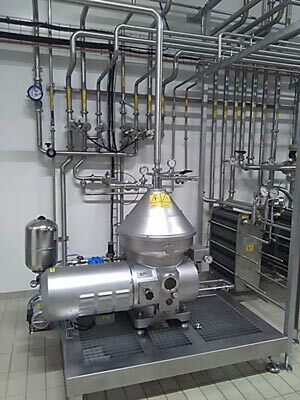 They allow to control the acidification curve of cheeses, to manage the acidification environment (temperature and hygrometry management) and are also washable in CIP system. CHALON MEGARD offers semi-automatic or automatic blow or vacuum mold removal systems. They facilitate the demolding of micro-perforated molds and allow a multi-format station with quick format changeover. 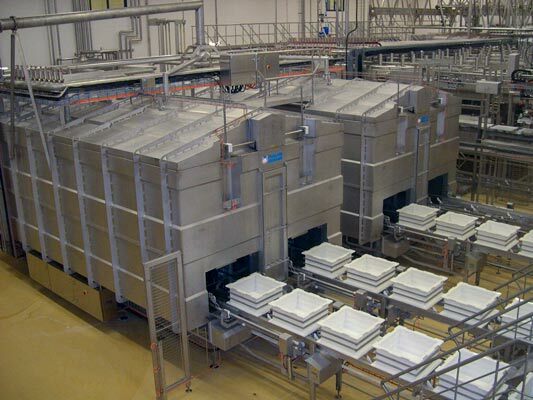 We offer static or dynamic brining equipment in stainless steel or concrete tanks, allowing the salting of cheeses by immersion in a brine bath. 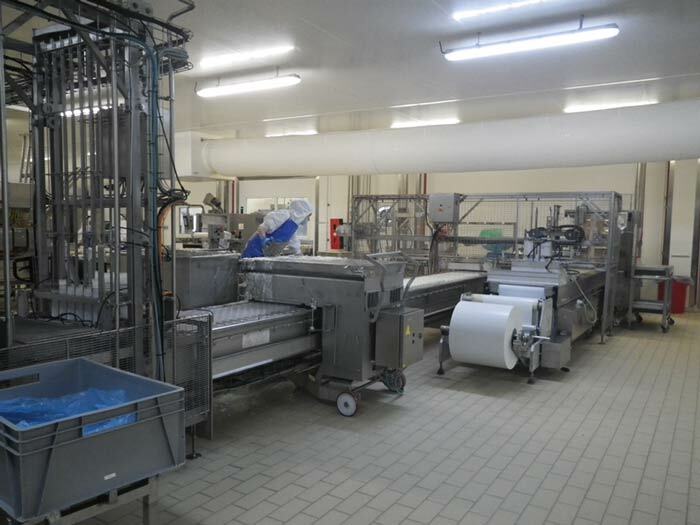 Our equipment ensures a control of the salting of the product (fast and regular salt setting) and of the cooling. 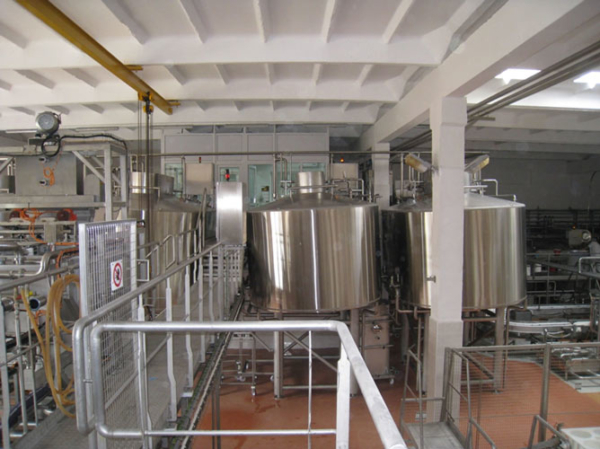 Our CIP system is designed in closed circuit with recovery of washing solutions for closed piping and equipment. 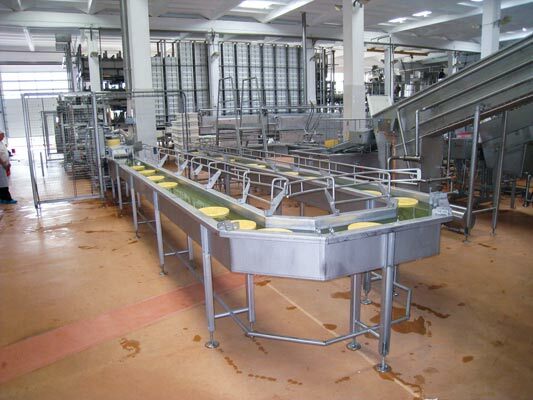 They optimize the hygiene and washing characteristics of the equipment. You can also check flow, temperature, concentration and time parameters. The CHALON MEGARD mold removal systems facilitate the mold removal of micro-perforated molds and allow a multi-format station with rapid format change. Manual filled curd dosing for cottage cheese. 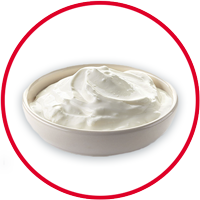 Homogeneous distribution of the curd. CHALON MEGARD mold removal machines facilitate the mold removal of micro-perforated molds and allow a multi-format station with rapid format change. 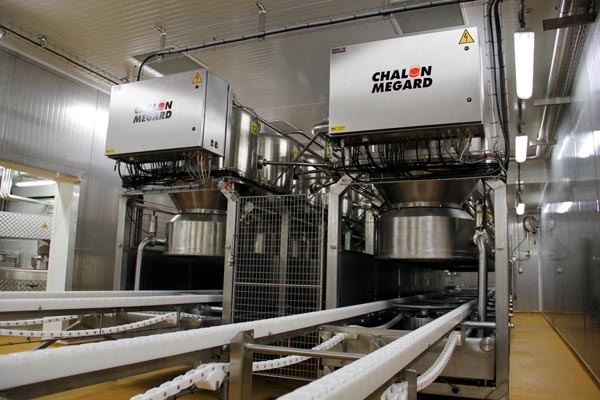 Specialist in the design and manufacture of dairy and cheese production lines, CHALON MEGARD accompanies you in your project and offers tailor-made, modular, flexible and scalable lines to meet your expectations today and achieve your goals tomorrow.